95 eligible applications were received from all over Europe, Israel and Canada. Individuals, groups, organisations, older people, students, engineers, designers, technology professionals and SMEs submitted fantastic ideas in response to the brief. The judging panel, made up of eight experts from across Europe, decided which of the applications have most potential to win the competition. The Smart Ageing Prize semi-finalists include platforms that help older people to participate in their local community, digital solutions that provide new leisure opportunities or facilitate existing interests and products that use new technologies, such as virtual reality (VR), to create shared experiences. EUPHORIA is a platform co-designed with, and for, Active Third Age leisure travelers, focusing on improving quality of life, strengthening social interaction, empowering them to stay active longer, and motivating them to keep their bodies and minds stimulated. Building confidence and supporting those with memory loss to live, work and socialise more independently, using step-by- step videos accessed at the touch of a mobile device. KeepSocial is an innovative platform based on a small piece of hardware that fits on a discreet wireless headset. It can identify the precise location and direction of sight of an individual in indoor environments. KOMP – the one-button computer connecting generations. With KOMP your family and friends can share photos, messages, and make video calls. Life-Manager increases the quality of life of the person in need of care, enhancing contact to family, whilst optimizing the care-givers’ planning and resources. Link-ages is an innovative app suite designed to enable older people to learn to communicate online and connect with their family. 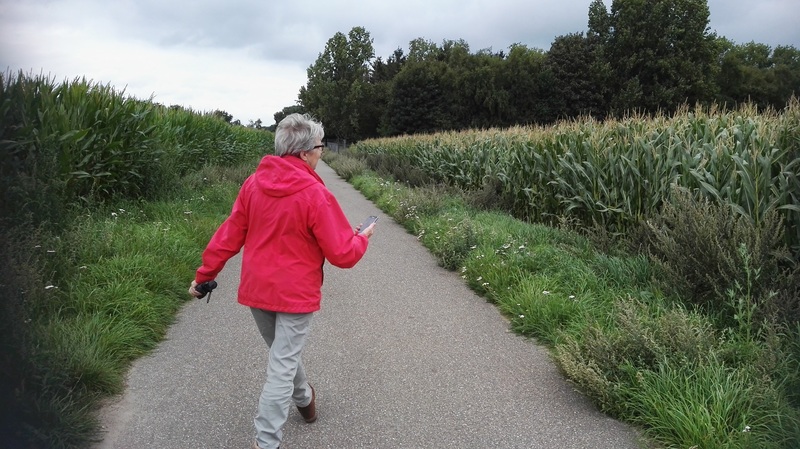 MijnBuurtagenda is an application to help older people participate in activities in their own neighbourhood. As a result, they may expand their social network and live a happier, healthier life with increased independence at home. PlaceCal is a partnership of community organizations, charities, social housing providers, government services, health providers, and citizens. Working together to improve the quality, quantity and accessibility of community data to make smarter and better-connected neighborhoods that work for everyone. PEPE is an easily deployable and configurable platform to promote active ageing through physical training with exergames. The platform includes an augmented reality (AR) component, serious games for physical training and a wireless sensor. A digital platform to deliver social and stimulating activities for older adults using teleconference technology. Silverskills platform allows older adults to volunteer for skills-based activities. The platform matches the needs of people looking for services with the skills of older volunteers and puts both parties in contact. Loneliness amongst seniors is an urgent, growing challenge globally. SyncVR fights this problem through unique, shared VR experiences. Tecla is an assistive device giving individuals with physical disabilities the ability to communicate, control, and connect with the world. Tolooba is a VR based software solution for bringing back precious memories to people suffering dementia. An app that allows users to record their walked routes and share these with peers in their community to motivate each other and share interesting experiences. The 15 semi-finalists will attend a mentoring academy in Brussels at the end of this month to develop their business model with the support of workshops and individual coaches. Following the academy, they will submit a detailed business plan to the judging panel. The judges will select five finalists to attend the AAL Forum in Bilbao, Spain, in September 2018. At the Forum, a €35,000 first prize, €10,000 second prize and €5,000 judges’ choice award will be announced.